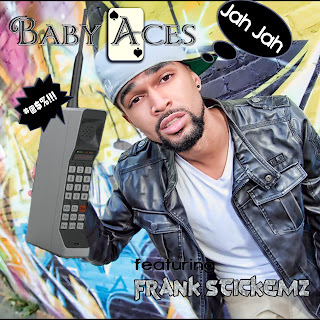 Introducing Baby Aces an inventive rapper from the U.S. His Debut single Baby Aces "Jah Jah" which features Frank Stickemz is gaining traction at radio in the US and abroad and is moving up the charts with major DJ record pools. His stage name came from a group he was in where all the members’ surnames shared something in common with a deck of cards. Not wanting to feel left out, Baby Aces decided his name would be a combination of his youthful charm and something he felt represented his swagger (The Ace) and thus hailed the birth of Baby Aces, the rapper. His debut single “Jah Jah” is telling his experiences the way they are. Baby Aces says the term and song “Jah Jah” came to him from memories of when he was much younger hearing people refer to nonsense as “ jive or jive talk". Baby Aces wanted to bring the same connotation to his generation by creating the #trending new term #JahJah. Tweet @Babyaces with #hashtag #JahJah.